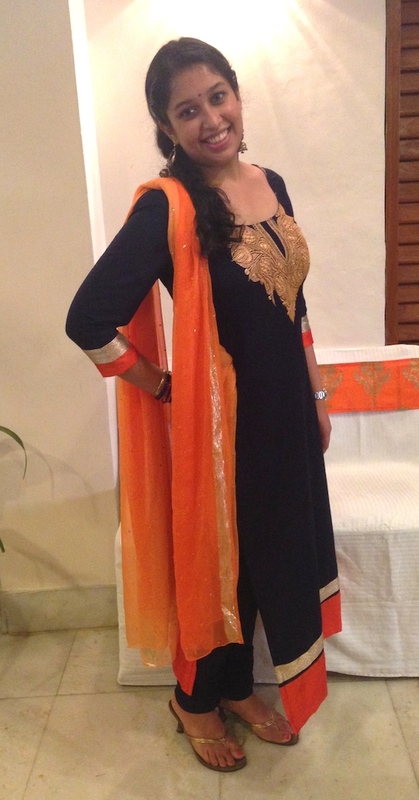 Anisha stood out in the crowd with the elegance of her suit, and the pop of colour orange added to it. And how cute are her earrings! Such an elegant outfit. Also, the combination of black and orange is striking!